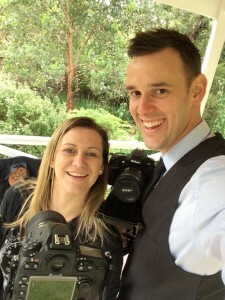 We often give advice with regards to wedding ideas on the Hitched Production blog for your Melbourne Wedding Video. Today’s post is a little bit different. Today’s post is all about why you should book Hitched Productions to film your wedding. 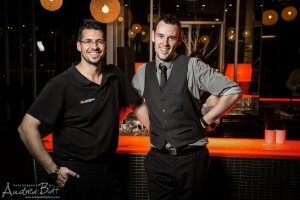 We are a boutique studio and we do not have multiple teams running around shooting weddings in Melbourne every weekend. I am the person you talk to on the phone. I am the person who answers your emails late at night. I am the person who meets with you leading up to your wedding. I am the person who listens to your story as I am the person who will both shoot and edit your wedding. I am the primary shooter at all weddings we film which means I am the person you will spend the most time with on your wedding day. 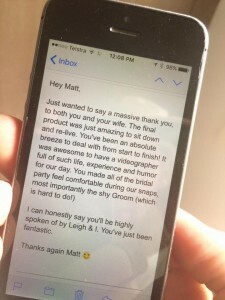 Most couples often do not give this a lot of consideration when the book a Melbourne Wedding Videographer as very few people actually ask who will shoot their wedding, let alone who edits your wedding. Every Hitched Productions edit we have ever done has been ‘done by us’. 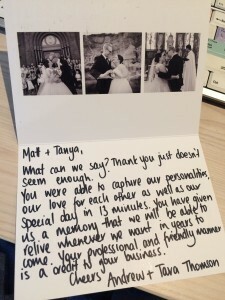 We do not outsource your wedding shoot or your edit to a stranger. You can have confidence that we will do the very best job to ensure that we accurately capture and tell your story. When you watch our wedding films it is not always easy to determine just how much planning and equipment selection has gone into your wedding video. We use three DSLR cameras and always shoot with two operators. We use multiple audio sources to capture your vows and speeches. Sure we use some nifty toys for creating amazing shots but that is no trade off for poor video or audio. A lot of other studios in Melbourne still use ‘old school’ cameras which means your wedding can lack that movie-like feel that DSLR provides. Some studios use DSLR but only use one camera. Similarly, some studios do not understand audio and it is evident in their work. Hitched Productions will ensure that your wedding video is aesthetically pleasing to watch (and listen to) as we can cutaway to shots of you laughing at your dad’s bad jokes during his speech and we can capture you ceremony and waltz from 3 unique angles. All these little details make your wedding more enjoyable to watch over and over again. Simply put, we are bloody good at what we do. Equipment only gets you so far. Correct exposure, composition and eye for detail and creativity are learnt skills. We work hard at our craft and know that our style and quality sits alongside some of the best. We do not shoot cheesy wedding videos. We will ensure that your wedding film looks and feels like a film. No dated effects, no dodgy transitions, no poorly composed shots and certainly no shooting over the photographers shoulder. Those companies still operate and they have that market cornered and they can have it. That is not Hitched Productions. I do not consider this a jinx but we have NEVER lost a recording be it video or audio in the 8 years that we have been operating. We take your wedding serious and we maintain several backups both onsite and offsite. You want peace of mind that your wedding is not one of the first handful that your videographer has filmed. We have lost count of the number of weddings we have shot but it is in the range of 150 and we still manage to turn all weddings around within 6-8 weeks, not 6-8 months. 5. You get to spent your wedding day with us! You get the pleasure of spending the day with me, Tanya and Steve. We are ‘young enough’ that your wedding is not being filmed by a studio stuck back in the early 90’s (yep….they do still exist) whilst being ‘old enough’ to have the necessary experience to capture and tell your story. Tanya is my beautiful wife and when we work together, no wedding goes by without fun and banter with the bridal party and family. We provide plenty of entertainment for our couples and the brides love working with Tan. Steve is my best mate and workhorse. He is also a bloody good second shooter and bridesmaid when on location as all our previous brides can attest. Couples constantly tell us after their wedding how everyone loved us on the day and how we made everyone so relaxed whilst still being professional. So in summary, it is absolutely critical for us that we can form a connection with our clients. We want you to book us because you like our style, our quality and you like ‘us’. You will notice that of the five points above, I have not mentioned price. We are not the cheapest studio as we do not focus on price. That is not our market. If you want production line run-of-the-mill video that is cheesy and shot over the photographers shoulder…don’t book us. We don’t want to be the ‘cheapest in Melbourne’ as that is not something any creative business should strive for. If we didn’t care about our couples and their stories we would charge basement prices, hire second-rate shooters, outsource our edits and churn out 4 weddings and weekend with turnaround times of 6 months. That is not our aim or our market. 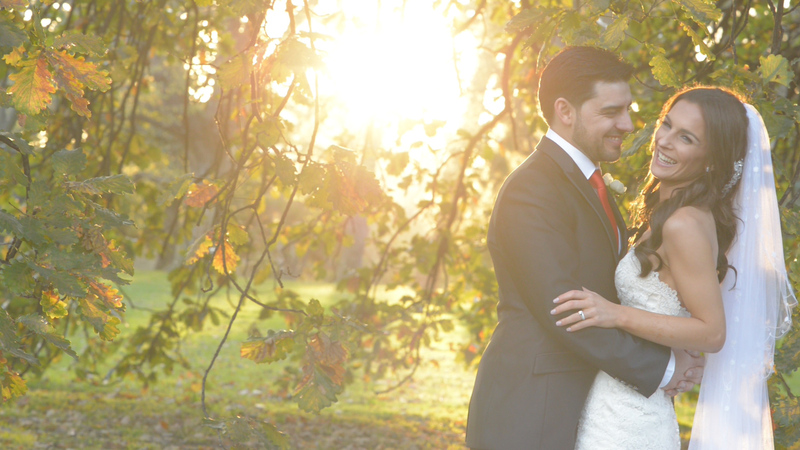 So if you haven’t booked your wedding film yet…what are you waiting for?